Book a stunning sparkling white LED Dance floor for your wedding, party or event anywhere in Northern Ireland. 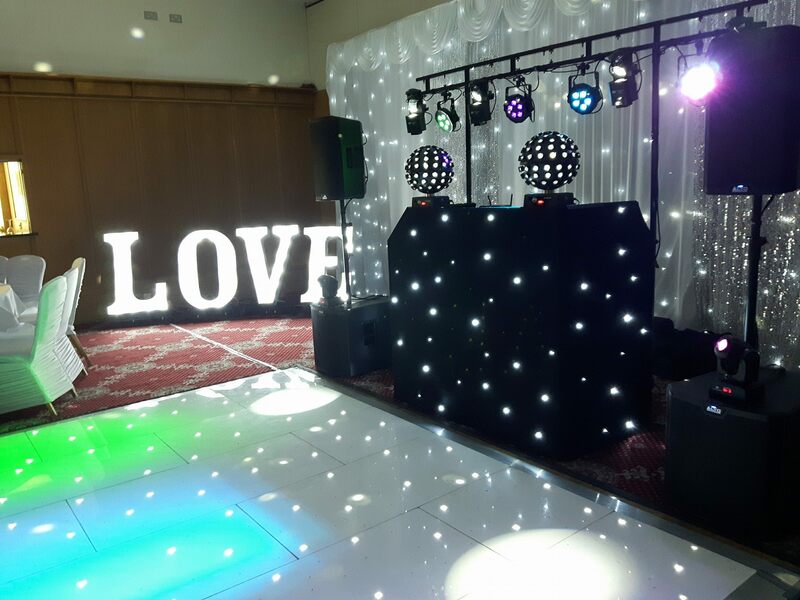 We provide an LED dance floor hire service across Northern Ireland for any event including weddings, parties, formals and corporate events of all sizes. Our beautiful white LED dance floor comes as a standard size of 16ft x 16ft (just under 5m x 5m) but can also be reduced in size for smaller venues. If you are looking for a larger area dance floor we can also accommodate various sizes up to 20ft x 20ft. Our light up LED dance floor is kept well maintained as well as fully insured and certified for electrical safety. The white dancefloor panels are always cleaned & polished directly after each use, ready for our next event. We take care of delivery, installation and collection with all dance floor packages leaving you with nothing more than to just dance the night away on your stunning white dance floor. Our dance floor can be installed at anytime before your event, morning or afternoon and for weddings or other evening events we can also do a quick install at the same time as your entertainment. 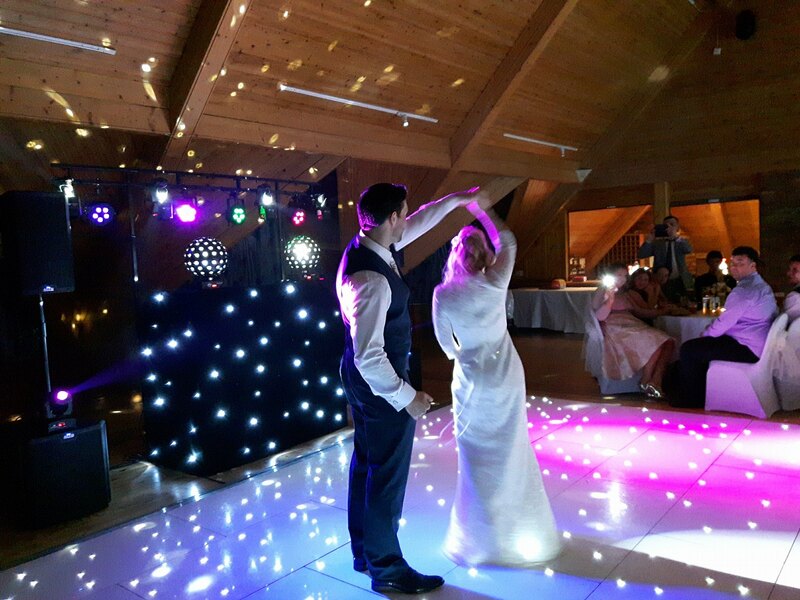 You can hire the dance floor from us on its own or combine it with a DJ, light up letters or even a photobooth or selfie mirror. Our packages are examples only and you can also build your own bespoke event package with any of our featured services. This is our stunning LED dance floor at the Templeton hotel in Templepatrick. On this occasion it was booked as a DJ & Dance floor package. This is our white LED dance floor at the La Mon hotel & Country Club. On this occasion it was booked with Love letters as a complete DJ package. To book a dance floor from Entertainment NI please first get in touch to check availability for your event date. Complete the form below with all the relevant details and you should receive a quotation within a few hours. Our LED Dancefloor hire is available in any venue throughout Northern Ireland. Brides and grooms from across the province have danced the night away on our stunning dancefloor at various venues including Belfast Castle, Lough Erne resort enniskillen, The Merchant Hotel Belfast, The Templeton Templepatrick, Ballygally Castle and many more throughout NI.